I Haven’t had a lot of time for me or do things I like to do for hrs on end For the past 6mo. I’m not complaining my life has been packed with my mom being sick. ( The treatments for the cancer in her lungs seem to be working! 😃👏🏼) and having my handsome fun nephew( he take a lot of my stress away and I’m so grateful for that.) all that boy has to do is smile or do something completely random that makes me and my mom lol. And we both need that. But as of late I just feel overwhelmed. There are things Iv been working on. That I have to put aside or just am to tired to work on them. It’s hard to put aside or work on things you love just for a min or 20. Thing I can escape to and for get life for a few. And I don’t have time. But things on my end I’m trying to figure out. So about 14/15 years ago ( summer of 2003 my freshman year of high school) I join the marching band. I had friends that were upperclassman. And met some through a summer training camp. To get a Headstart. Not every freshmen had to go. I also know some kids that went to the other middle school. So I knew people. So the girl to become my best friend wasn’t there. At last I don’t know. Bc at the time she played flute and I play trumpet. So I didn’t know of her this might sound mean. But as far as I can say I didn’t know she existed. Now she has given me two story’s are why she became friends with me. She is also bipolar. The one story is that she loves my passion. And was a jealous. That I was getting A lot of attention from the directors. The Head director always use me as an example. In a good way Due to the fact that I am a lot shorter than everyone else I’m about 4”11. And that if I can make do it right then there is no excuse for anyone else. And she loved how good of a player I am. The 2ed story came out of a manic low. She felt bad for me Bc I was by myself During ONE water break. and she felt bad for me. I know I shouldn’t take it personal when she gets like this. But the fact that in middle school I had “so called friends” they just felt bad for me so they became friends with me and invite me to things. And then one day in 8th Grade. They started spreading rumors about me. And I confronted them about it. And that’s when they told me. By my bff telling me that really has put me in a place that really hurts. 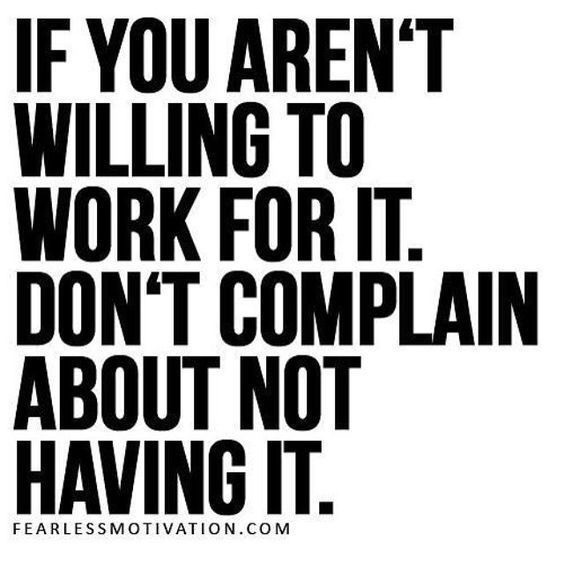 If you aren’t willing to work for it. I’m glad I live in the states. Why? I can take a long hot shower and play Candy crush. Tell I ran out of lives. And still have hot water to finish. Some people just need to know how priorities on what’s a need and what’s not all the important. Rant/not really one but just saying what’s on my mind that irritates me. They’re some people that are ridiculously self-centered. And really two face .. And put on a act and that they are better then. And act all godly. Then in 2min begins to tell you that I don’t like that person or tell people gossip. Every And are 100% fake. They all was try to tell you have you should run your life and are in your Business and just do creeper things. And the same people say they are your friends. And you have something or have things going on and they know or should I say it’s respectful to go or take/or call them. But yet you know that the things that they want to do are really not a priority in some situations they rather not deal with it and just not go. I will never understand why people are like that. There’s a difference between making small progress what I call baby steps. Then not making any progress at all. To some it doesn’t seem like you have done anything. But those people don’t pay attention to detail Or don’t know how to pay attention to the details.